Dive Worldwide’s Indonesian suggestion is an 11-day trip to Bali to dive the reefs of Nusa Lembongan, Ceningan and Penida in search of pelagic encounters. “These tropical waters are home to manta rays year-round, but you can time your escape for other big marine-life sightings,” it says, in particular sunfish from mid-July to late October. Prices start from £1345pp, including return flights from the UK, eight nights’ B&B accommodation, diving and transfers. The Alor Archipelago in remote eastern Indonesia might also be an area of interest, with its chances of big pelagic encounters, colourful reefs and critters. 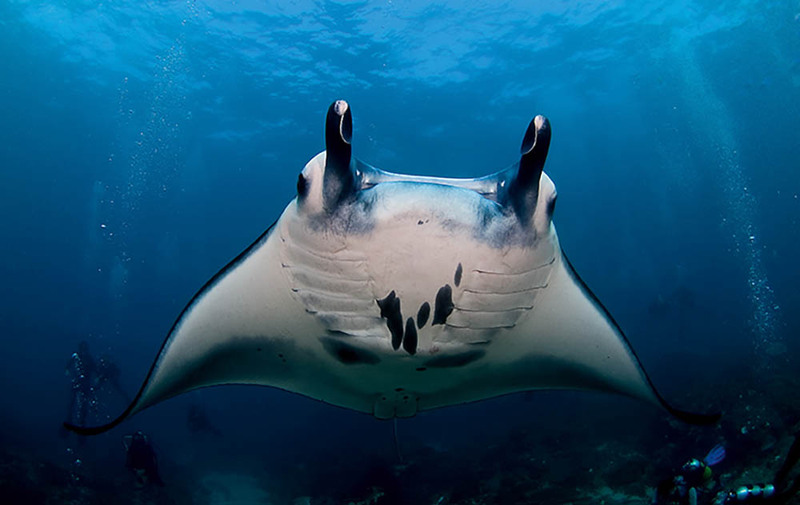 You can stay at the Alami Alor Dive Resort to explore the Pantar Strait and time your visit to coincide with the full or new moon for hammerhead shark encounters – 14 days costs from £3395 including flights, 12 nights’ full-board accommodation, 24 boat-dives and transfers.